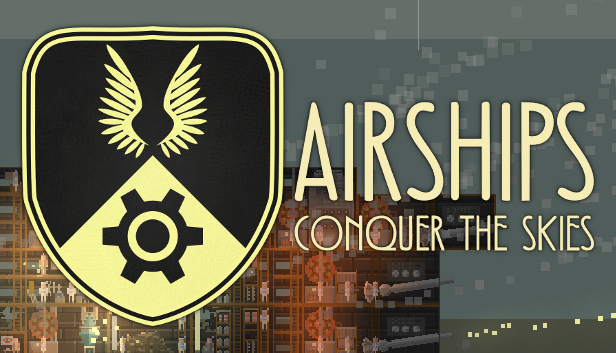 A real-time strategy game where you design airships and then fight with them. The aim is to have pretty chaotic explodey fights and interesting ship design choices. Ships are put together out of modules, and the layout of modules matters a great deal: everything on board is done by individual airsailors who need to run around, ferrying coal, ammunition, water and repair tools - and sometimes their fallen comrades. Nice i like these kind of games ! Just a suggestion can you make an open world for this game? Not an native english speaker sorry for my bad english. Looks interesting I remember making such drawings in intricate detail during my childhood. This is like these drawings coming alive. Goog luck with this, I'm curious it will turn out. I am fundamentally very up for open-worldness. Can you describe a bit what you would like to see? 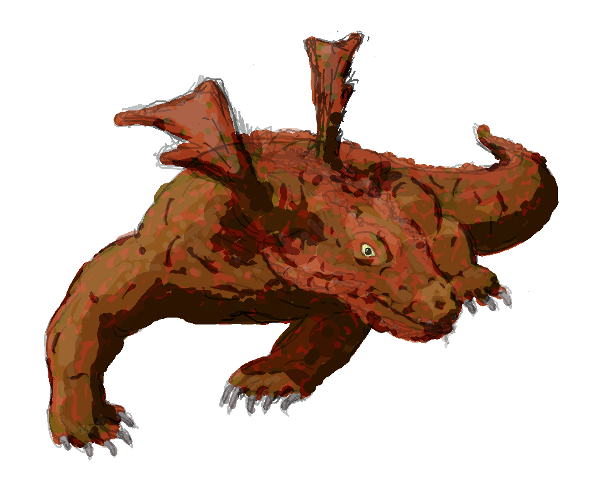 No guarantees any of it will make it into the game of course, but so far the design is still pretty open. This looks quality, I love the idea but also the gfx. What sort of size limit are you planning to impose on the ships? So heraldic charges give you in-game bonuses, which means I'm restricted to relatively simple layouts. Still, more layouts is definitely something I want to add soon. If you've been following my Twitter, you may have seen a series of increasingly exasperated tweets about my computer. Basically, for work reasons, I had to upgrade my Mac to Mavericks, the newest OS X version. Unfortunately, Mavericks causes my machine to freeze irretrievably after a few days, and only a complete reinstall temporarily fixes the problem. So now I'm, grumbling, back on Snow Leopard (IMHO the best version of Mac OS X), having lost a lot of time in the process. So yeah, that whole idea about releasing the early access version around now isn't happening, but I hope to get it out there before the end of the month. I have not been entirely non-busy, though. A week ago, I was afforded the opportunity to do some playtesting. As I wrote before when I did this with Patent Blaster, there is just not substitute for putting down someone in front of your game and wordlessly watching them trying to figure it out. One big change, visually, is that I adjusted the color of the sky to be less saturated, on the basis of this great article on game visuals and user feedback that the ships didn't visually "pop out" enough. While doing graphical adjustments, I also took the opportunity to put in an early version of the main menu background, a digital painting of airships that I'm working on. It's by no means done, but I just, er, blurred it enough that you can't really tell. As time goes on, the picture will come into focus more. 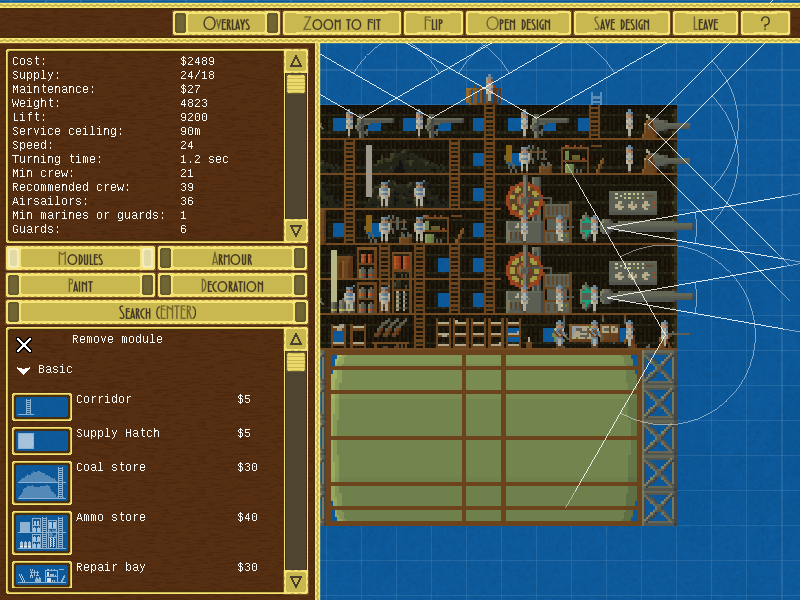 Job allocation and movement is all done automatically, so you just give high-level commands to the ship as a whole. The early access release is up! 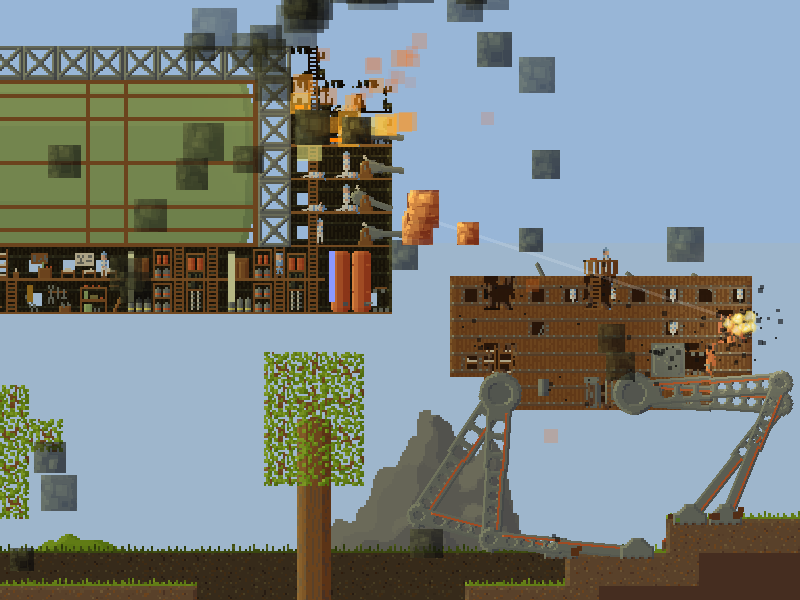 At its core, the game is about designing airships and fighting with them. Ships are put together out of modules, and the layout of modules matters a great deal: everything on board is done by individual airsailors who need to run around, ferrying coal, ammunition, water and repair tools - and sometimes their fallen comrades. In addition, there is a single-player strategic mode, where you use your fleet to conquer city after city, unlocking new modules and bonuses with each of them. 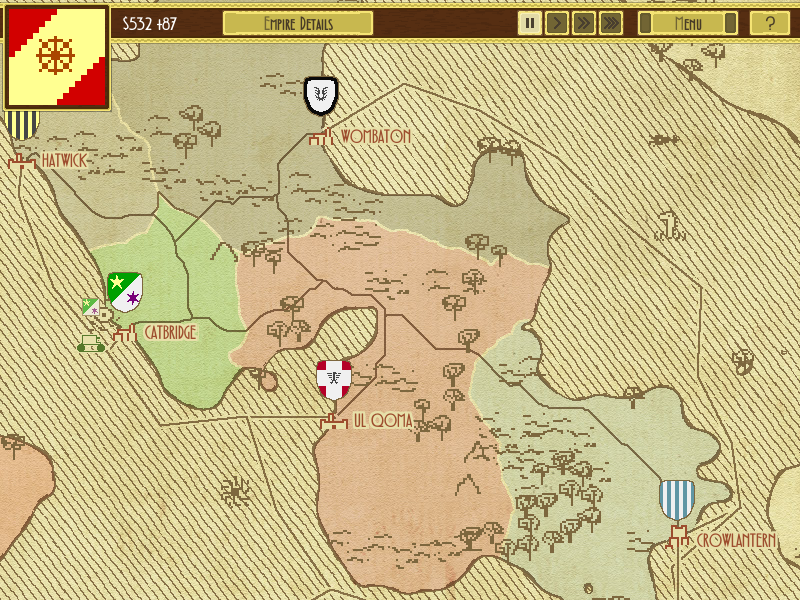 The game has an authentic-ish system of heraldry where you can create your own coat of arms, and register it with the game forums as unique to you. Interested? You can get it on itch.io for $5. There are now small versions of various ship modules, opening up more ship design space. Previously, the smallest viable ship was about 300 gold. Now it's 90. 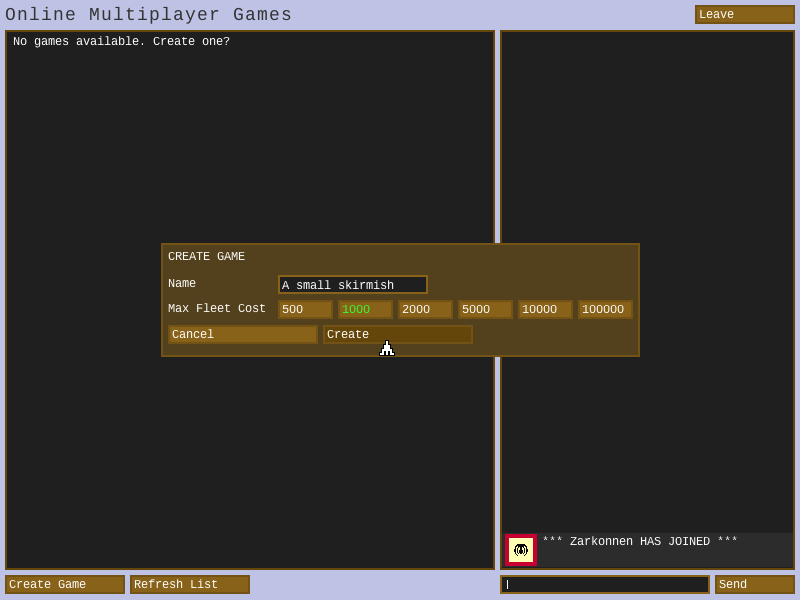 There is now a game server where you can create multiplayer games and join others'. Come and measure yourself against other players! The AI empires now go conquering, which means it's very important to keep your cities defended. 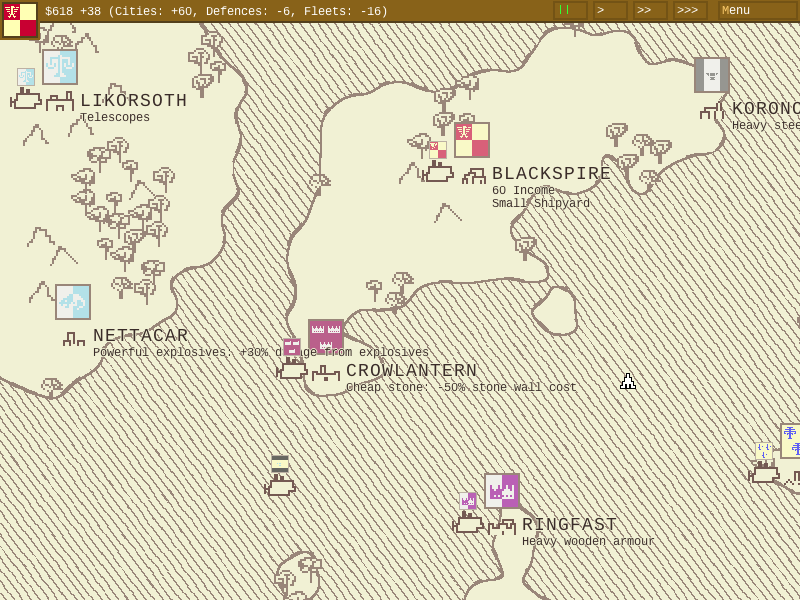 The next release is likely to take longer, as I plan to add major new features such as boarding. I also have about a zillion blog posts I want to write about the game, such as some lore things on suspendium and a ship design guide. As before, the game's available on itch.io, and existing players can (of course) download this upgrade for free. Have you thought about checking the collision of the text boxes, so that they don't overlap? - purchase process is pretty smooth. Only having paypal as payment option may turn off some potential players though. - the game loads. the menu shows, and then... a crash to the desktop with no error or log. The airships.exe is still active in task manager (the mouse cursor also shows as busy). I cannot even seem to kill it using the task manager. First try was on fullscreen resolution (1920 x 1080), second windowed (1024 x 768) but both crash to desktop and have an unkillable exe in the task manager. I have to restart my computer to get rid of them. So unfortunately I had no chance to actually play it (no refund needed though, glad to support ). You may want to add some form of logging, though. I'll look into that ASAP! Have you tried the newest version (v 2.1 from https://airships.zarkonnen.com/download )? If yes, there should be a log in %APPDATA%\AirshipsGame. There's a shiny new version out, mostly focusing on stability and UI things, but also adding some huge new modules like a targeting computer and a repair bay. The next version's going to focus on adding some new mechanics like boarding. A turret with a > 180 degree field of fire. 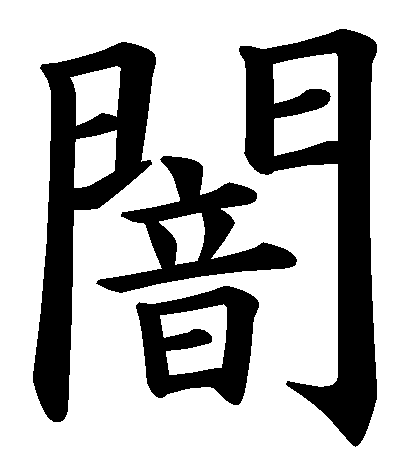 Flexible, but very big and expensive. 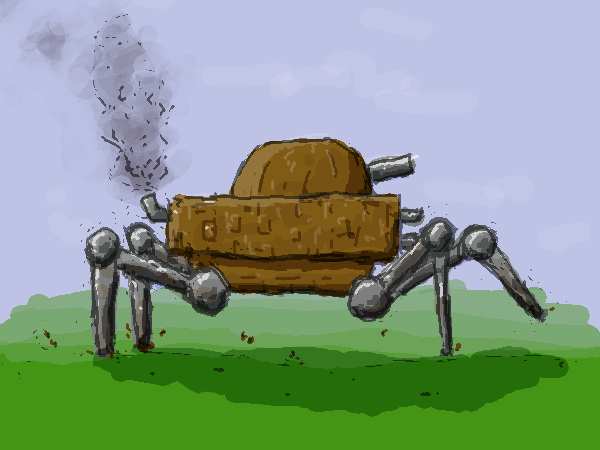 A landship, totally inspired by these from Girl Genius. 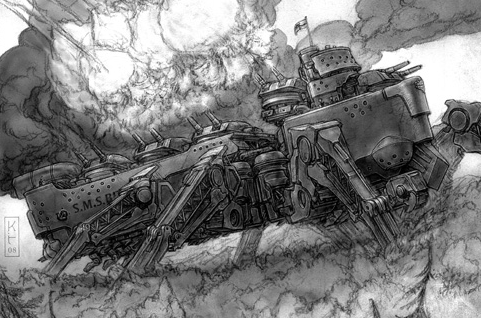 Reminds me of the land ships from the book Leviathan. Probably really great if you're looking for other inspiration. The ships in the edge chronicles are really cool. They fly using floating rocks! These are just what I was immediately reminded of by your last post. Concept art looks real good, hope to see some more diversification like that in the future. Oh cool - both of these look like a goldmine of inspiration, visual and otherwise. Thanks! So the game's on Steam Greenlight now, which is a "fun" experience of watching a number intently, willing it to go up. I would be extremely grateful for upvotes, as I still need several thousand to have a chance of being picked by the great steam bird when it next visits, plucking the ripest game-berries from the greenlight tree. Uh. 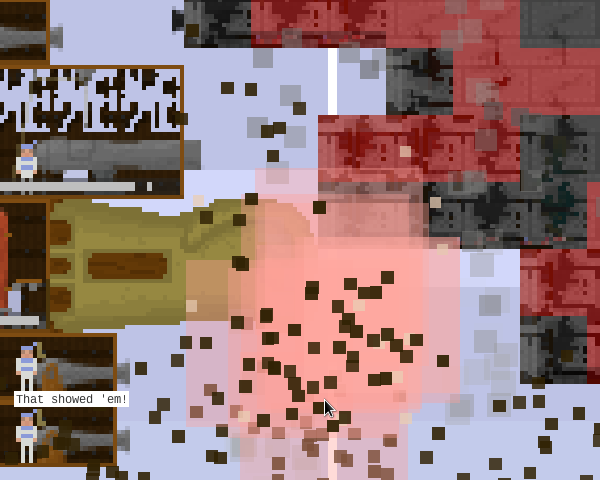 Ramming is already an important part of airship battles, which tend to be quite physical. In early access version 5, one of the major goals is adding external modules - such as proper ramming equipment. 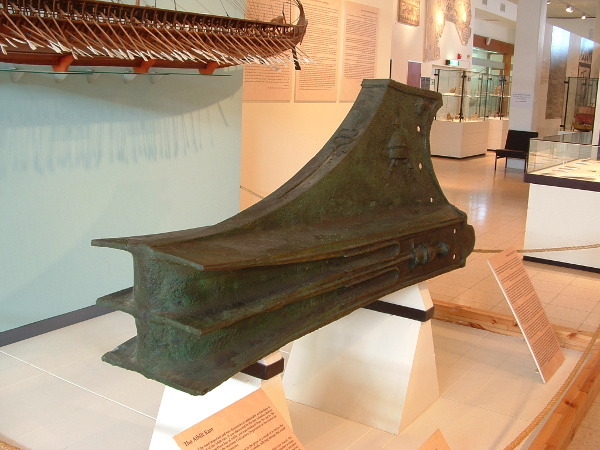 I started out with some historical research: what did ships' rams actually look like? 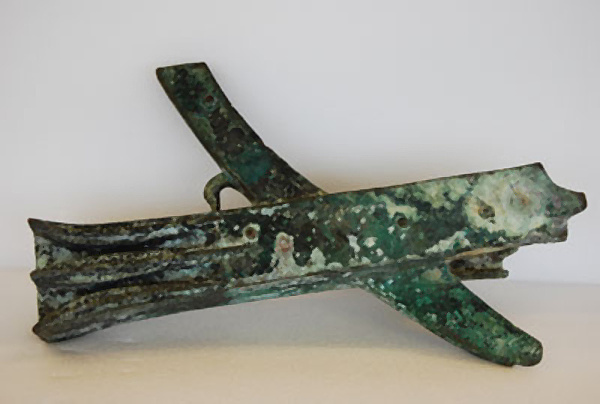 There isn't that much visual material available, but it turns out that a common pattern for ancient Greek and Roman vessels was a bronze ram with three projections, as seen above. 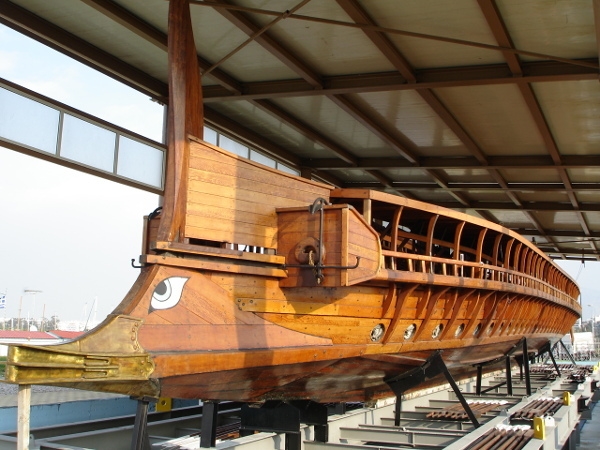 One of the cool things I discovered during my trawl is that there is a full-size, fully functional reconstruction of an ancient Athenian trireme, called the Olympias. The ram on it is really quite prominent, and you can see how it could be used to good effect to hole enemy ships. Another interesting detail is that some ancient warships had two rams - a main one to hole the ship, and a smaller, spiky one, to break the enemies' oars. I am quite pleased with this outcome. 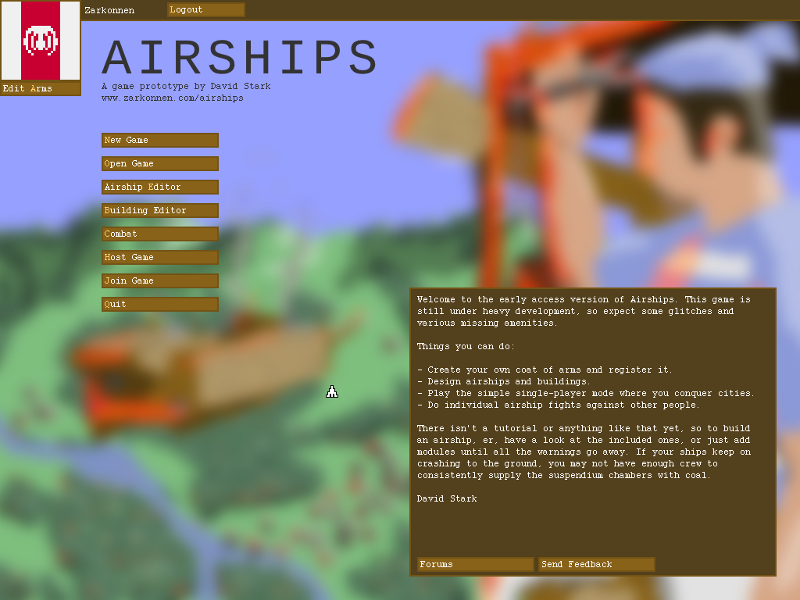 I'm now getting started on airship-to-airship boarding, which is the major new feature in the next development release. With boarding, you can send air marines to enemy ships to disrupt them and even take them over. 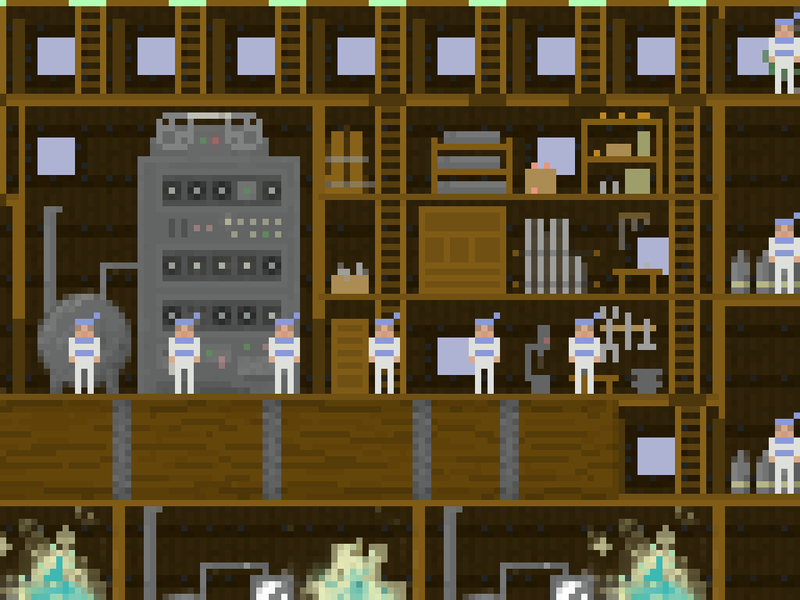 The actual sending over part is a bit tricky, because crew members move inside the grid of their airship. This means there is currently no way to represent someone not inside a ship. To allow air marines to jump or glide or grappling-hook across the gap between two ships, I will have to introduce a second system of tracking people's position. The second system will be in the same coordinate system as the ships itself, and will have to deal with physics, collision detection, etc. So for now, I'm just going to ignore all that and make the crew teleport over! I even added a completely pointless particle effect for it. Why? Because I want to get to the more fundamental part first: what happens during boarding? Air marines boarding an enemy ship should try to disrupt its operation, and if there are enough of them, even take it over. These two goals are somewhat at odds, since the fastest way of disrupting an airship would be to make its suspendium chambers stop working, making it fall out of the sky. But I doubt that the air marines would be inclined to make the ship they're in crash. Instead, I decided that the marines will target weapons systems, propulsion, and command centers, rendering the ship harmless but still afloat. So once an air marine has boarded a ship, he will path to the nearest "interesting" module - a gun or propeller or bridge, and start shooting the crew in there. The other question is how taking over a ship happens. 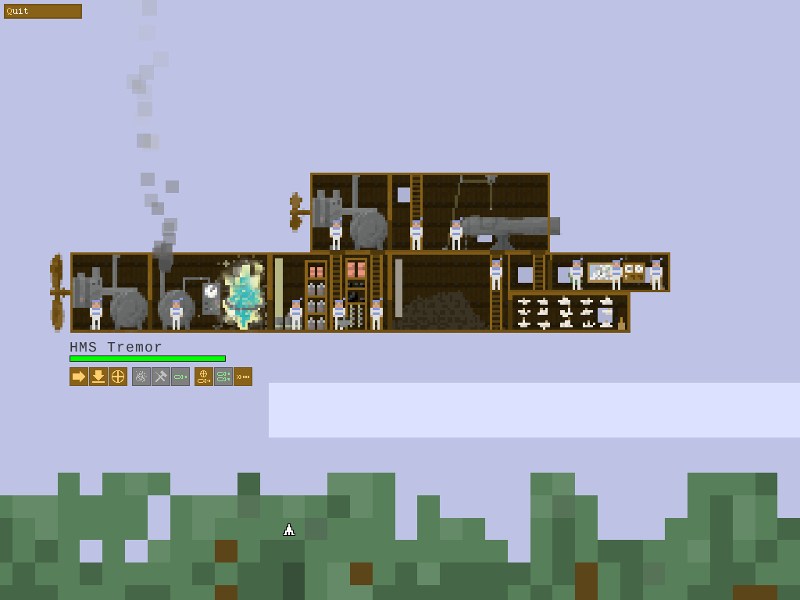 Airships are complex entities, so what does it mean for one to be taken over? The rule I decided on: if there are no crew members of the current owner in any of its command centers (bridges or cockpits) and at least one crew member (air marine) of the opposing side in a command center, the ship's owner flips. The invading marines get added to the crew list while any surviving defending marines are now considered the new invaders. The normal air sailors are set to be "under occupation", which means they will only perform a subset of duties needed to keep themselves alive: they will put out fires and run suspendium chambers, but nothing more. The occupying air marines will have to do any fighting duties. Having figured things out, it was time to start building! 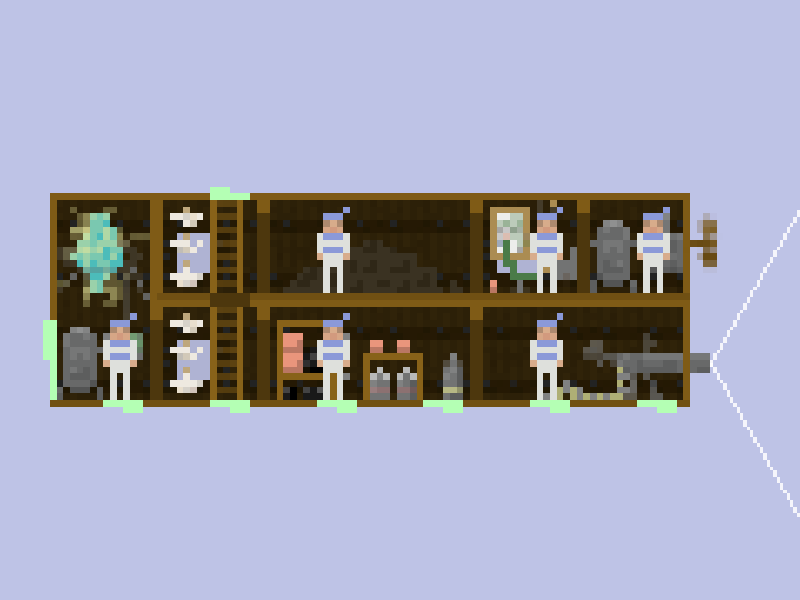 Air marines will have to perform normal crew duties in occupied ships (and they can also help out in your own), so they should be a type of crew. So first off, I introduced a concept of "crew type" to distinguish between marines and sailors. 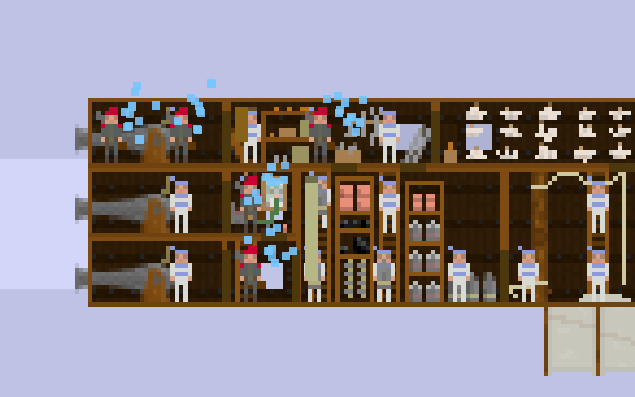 These have different sprites and different competencies: sailors are more efficient at working in airships, but much weaker in combat. 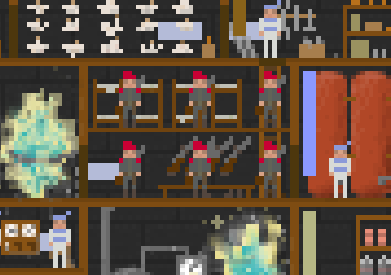 Next, I added a new module type, the barracks, which was pretty straightforward. The game also has to keep track of whether someone is on board a ship as an invader or as a crew member, so I added a separate list of boarders, and got to work on rewiring the crewmember and airship classes to make this difference clear. A lot of questions like "how many crew are in this ship" had to be made more precise. Next, I implemented a "board" command for airships, borrowing liberally from the existing "target" command and fiddling in GIMP until I got a decent-looking grappling hook for an icon. So I got to the first tests: the marines would teleport over to random locations on the other ship - and then just stand there, going "Oh, that is a nice cannon you have here. And it is indeed shooting at my ship. oh well, carry on!". I needed them to actually go and do some mayhem, so next up was pathing: identify the modules of strategic interest and move there. 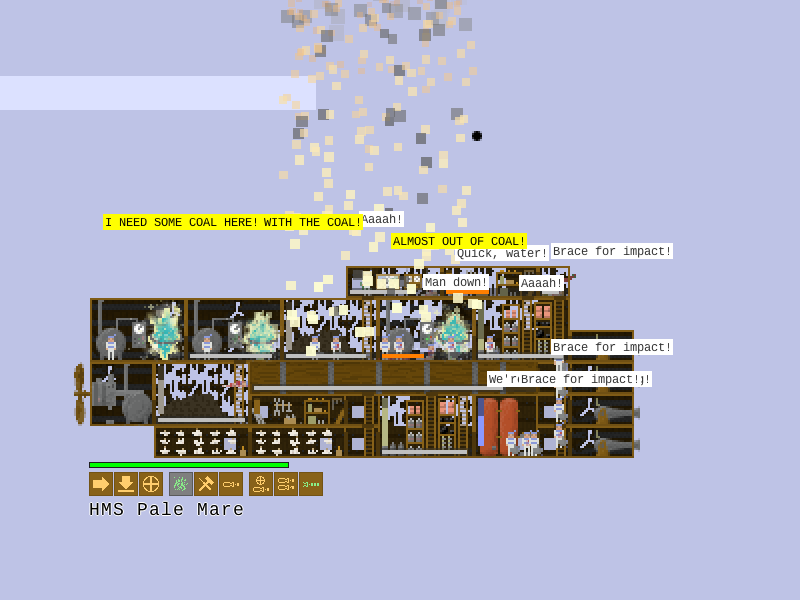 Pathfinding was already available from the code for air sailors, so this was pretty quick. And of course, once they got to their targets, it was time for them to shoot things! Now I just had to tell boarders to shoot crew and vice versa, and a fight for the ship finally happened! And, as it turns out, a rather silly bug: I forgot to tell marines that they can't move when badly injured or dead, so now I had casualties and corpses sliding around on the floor and impossibly climbing ladders while prone, slowly moving to the next place to conquer. Having fixed that, combat now proceeds reasonably: the boarders go and shoot up the bridge and cannons of the enemy ship, weakening it. Next up will be the takeover phase: boarders converging on the bridge, and the ship's allegiance switching over. No doubt boarding will need a lot of balancing work. Right now, it feels way too powerful, but this may be because it's very easy thanks to the temporary teleporting. In the end, boarding should be one tactical option in your arsenal that works in certain circumstances, much like ramming, sniping with rifles from high up, grounding your ship, forcing down an enemy, and so on. Join me next time when I put in the ship takeover mechanic and start figuring out how to make the marines move between ships! 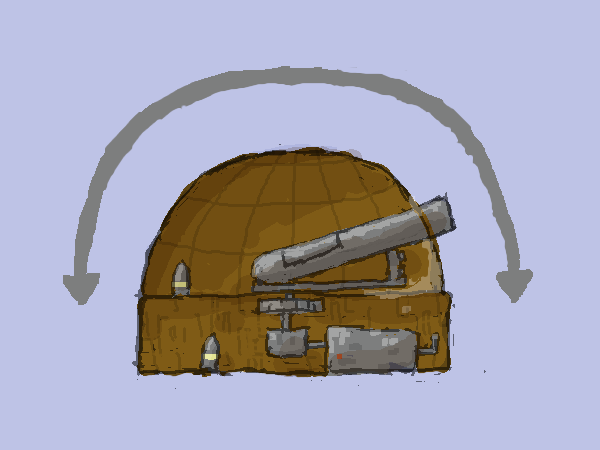 I have an idea for your boarding , you could either A: Have a marine cannon that shoots them into the enemy ship or B: have a little bay that sits at the bottom of the airship where the marines jump out and get little parachutes , they then float toward the enemy . Of course for B to work you would need to ensure that you were high enough up. Air-to-air paratroopers sounds awesome. Also adds to the mechanic that you have to get above the enemy to be able to board them, unless you get jet pack upgrades or something. Yes, definitely! I'm thinking the grappling hooks could be an upgrade which lets you do more horizontal boarding.